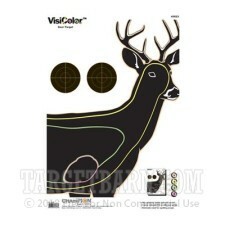 Zero your hunting rifle smartly with a flavor of fun on these Champion VisiColor Deer targets. 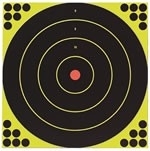 Targets from the VisiColor line feature a black shooting surface which changes colors around bullet impacts. 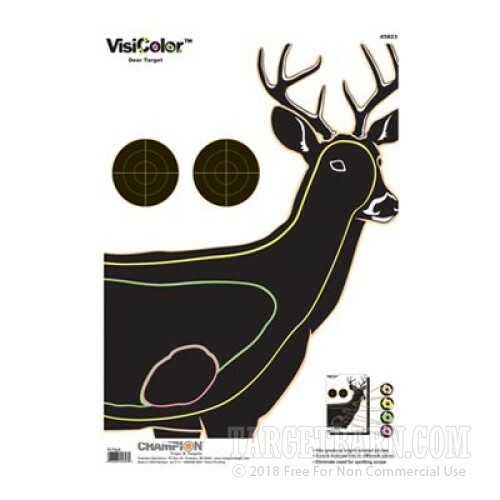 The colors are vibrant and highly visible at long range in order save your legs and make the most of your range time.On this deer target, the brightest pink color represents direct hits to the vital organs while green represents the second best center-of-mass shots. 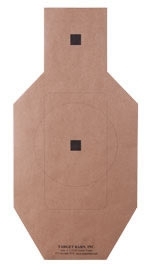 These targets are great for teaching new hunters the value of shot placement while helping them to visualize internal anatomy while taking aim on big game. 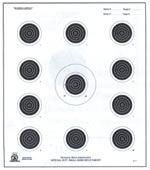 The target also has two 6-inch diameter bulls-eyes on the top left of the target for shooting confirmation groups when using a new lot of ammo.